Keanu Reeves is one of the most famous Canadian personalities. He is a successful and well established Canadian actor, producer, director, musician, and author. Reeves has been ruling Hollywood for three decades now. He has a net tworth of flattering $350 million but Reeves is a humble and a down-to-earth person who has not let the success got into his head. It is Reeves’ hard work and passion towards his work which has given him immense popularity and recognition. Reeves was born on September 2, 1964 in Beirut, Lebanon. Reeves parents didn’t have a steady relationship and so Reeves was separated from his father at a very young age. Reeves travelled around the world with her mother, who had turned into a costume designer, and had to live with more than one step dads. Reeves parents settled in Canada, eventually. Because of a lot of travelling, Reeves had to change his high school for the 5 time in a 4 year span. Reeves wasn’t good at studies however, he performed brilliantly in sports. Reeves performed as a goalie in his school’s hockey team and was referred as, ‘The Wall’. At school, Reeves also found his interest in drama. 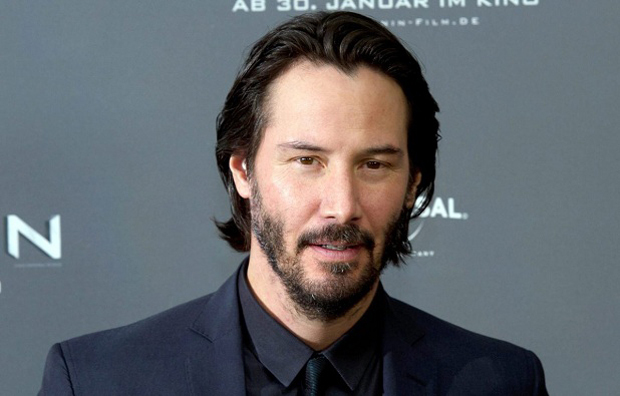 Keanu Reeves began professional acting at the age of 15. He performed the role of Mercutio in a stage production of Romeo and Juliet. He did his first screen debut by appearing in an episode of a TV show, Hangin’ In. Reeves appeared in various commercials and starred in short films like One Step Away. At the age of 20, Reeves packed his bag and came to Los Angeles to try his luck in Hollywood. Like every struggling actor, Reeves, through his agent, grabbed few minor roles in various films. His first considerable role was in the drama movie, River’s Edge. In 1989, Reeves landed his feet on his first major film which gave him immense popularity and recognition. His successful comedy movie Bill & Ted’s Excellent Adventure made Reeves a superstar. Subsequently, the movie’s sequel, Bill & Ted’s Bogus Journey added more recognition and acclaim in Reeves’ account. After starring in hit comedy movies, Reeves appeared in various successful indie movies including, My Own Private Idaho, A Walk in the Clouds, I Love You to Death etc. In 1994, Reeves came out of his perceived look of a chocolate hero in comedy and indie movies and showed the world his versatility. He appeared in the action thriller, Speed, and performed magnificently. Subsequently, he rose in popularity with his science fiction-action trilogy, The Matrix. The Matrix, along with its successive two parts, was well received in the cinemas. Apart from his big screen career, Reeves also performed the role of Prince Hamlet for the Manitoba Theatre Centre’s production of Hamlet. After proving his acting skills to the world, Reeves got all set to act behind the camera too. In the year 2013, he directed the film Man of Tai Chi. He has also donned the role of a producer for the documentary, Side by Side. Reeves has also nurtured his passion for music by joining a rock band Dogstar and served the band as bassist. The band released few albums and then it was dissolved. Reeves later joined a band named Becky for a short time. This action hero, Keanu Reeves, is a diehard fan of motorbikes. He proudly co-owned Arch Motorcycle Company, which sells and builds custom motorcycles. Even after being a famous millionaire and top notch Hollywood actor, Reeves is humble and down-to-earth. He is one of the rare actors who has paid a significant portion of his salary to the staff and crew members of the movie citing that those people well deserve the money. Reeves is also a generous philanthropist; he has set up a charity centre for cancer patients. Reeves continuing success gave him the well deserved star on the Hollywood Walk of Fame. Reeves loves his work and is planning to continue his work for a long time. Ruling Hollywood for more than 30 years now, at the age of 50, Reeves is as attractive and likeable as he was when he first stepped in the industry.